I’ve been raving about the original Cave Story for a long time now. There’s just something special about a product that comes together so well, and knowing it was made by only one person. 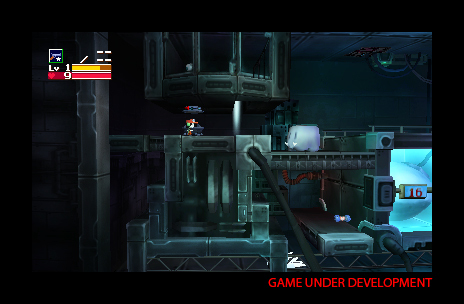 Cave Story 3D is being developed by Nicalis, the same team that recreated it for Wii. They’re hard at work, transforming the original 2D world into a three dimensional one. Publisher, NIS, has released its box art, and while I would have preferred box art with a little more going on in it (Quote fighting enemies, a real background etc. ), I suppose this one will have to do. They do say that it’s subject to change, so maybe there’s some hope for a more interesting cover. NIS has also released some screen shots of the game, and while they do say, “game under development”, I really do hope they improve a lot. 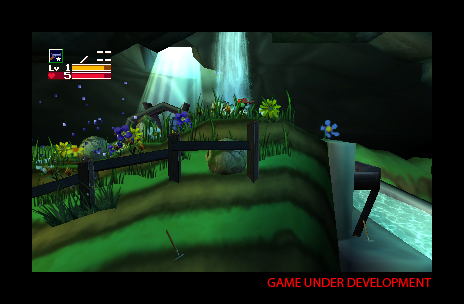 As of right now, I would prefer the original graphics, or the remade graphics that appeared on the Wii. 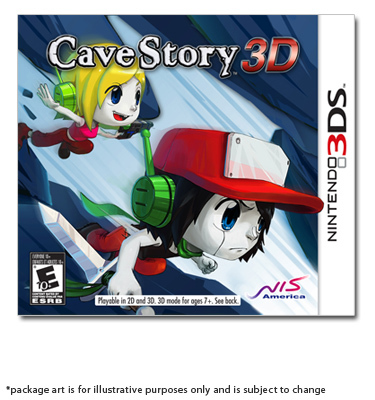 Cave Story 3D had an original date of June 19th, but it’s now been pushed back to August 9th for North America.